How do you know if your hips are square? This week, Bianca had this question. It’s a great question and one that will apply to many people, so I thought I would answer it in this short article and video. Having a home yoga practice is a powerful thing, and I’m stoked with how many YLB readers are home yogis, but sometimes it can mean we get sloppy in our practice. Not because we’re lazy, or because we don’t know what we’re doing, but because we don’t have the insight or guidance of a teacher to point out what we can’t see – like Bianca with her hips. She felt like she was aligned, but a teacher and a photo showed she wasn’t. Fortunately, there is a way around this. We can become our own very best yoga teachers through using a few simple techniques. In this short video, I discuss a systematic approach to working with yourself in your home yoga practice. I talk about why a mirror is sometimes your best friend and how to work with it. I’ll share how to sense whether you are holding tension in your body, or whether one body part is at a different level from it’s partner – like when one shoulder is raised. Plus I’ll outline the method I use when I’m practicing yoga to keep me on task and focused while having significant break-throughs on a regular basis. Because yes, it’s awesome to show up to the mat every day but it’s not enough. The way you show up to the mat and how you work with yourself also matters. If you’re going to be there, you might as well get the most out of your experience. How do I Work with Alignment in my Home Yoga Practice When I Can’t See Myself? 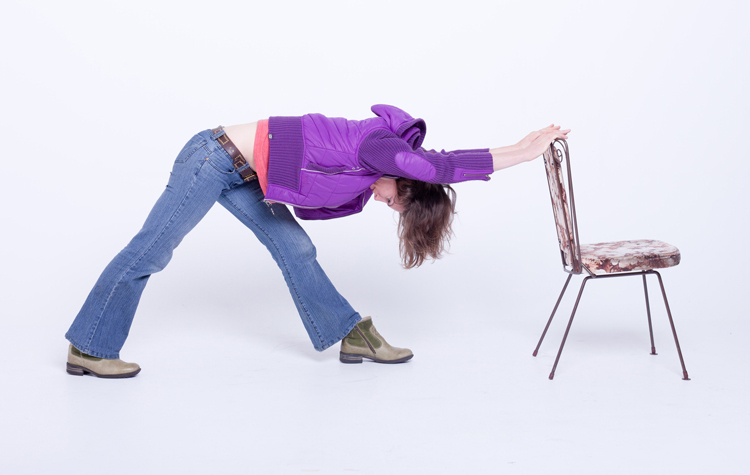 If you have a question about your home yoga practice, send me an email and I might answer with a video and article.